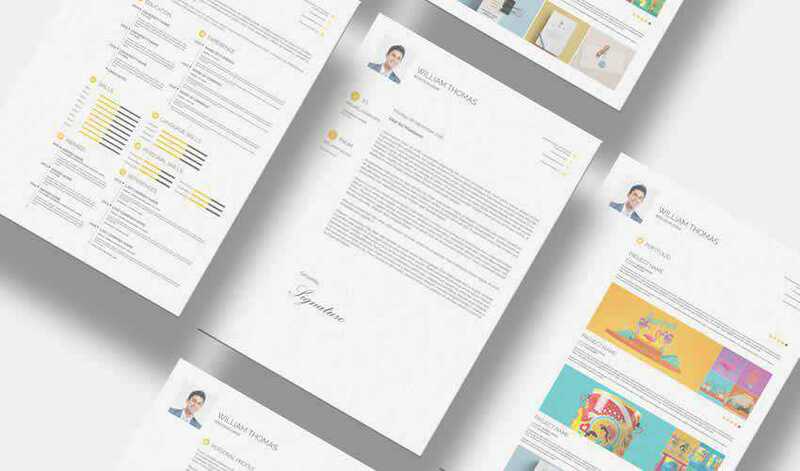 A professional resume design is crucial if you want to stand out from the competition and get noticed by potential employers. Luckily, you don’t have to design a resume from scratch each and every time you decide to apply for a position. Simply download and use any of the hundreds professionally designed resume templates available online. 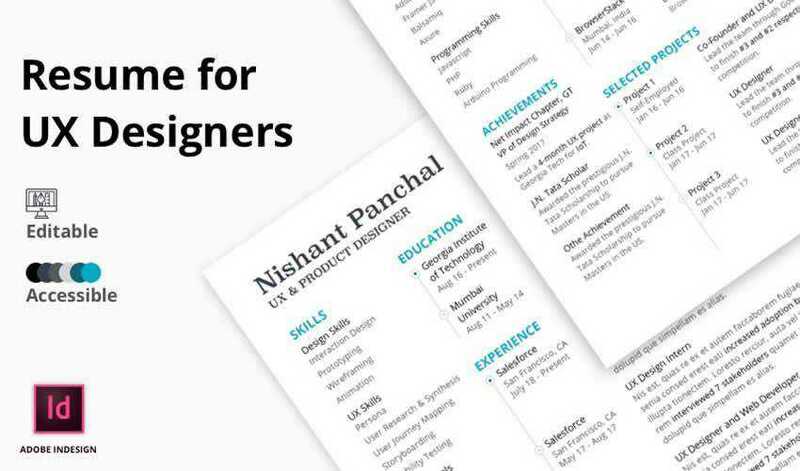 For starters, check out our collection of the best resume templates designed with InDesign. If you prefer, we’ve published a collection of web-based apps that will help you quickly create a resume. 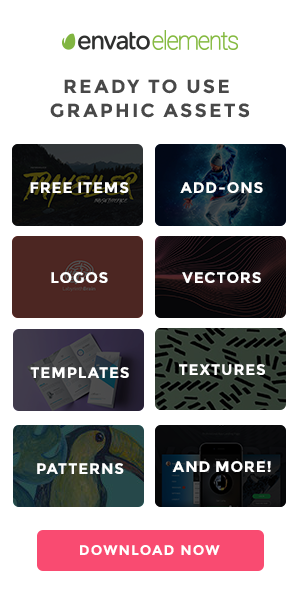 We also have a selection of free HTML & CSS resume templates and Photoshop Resume Templates. 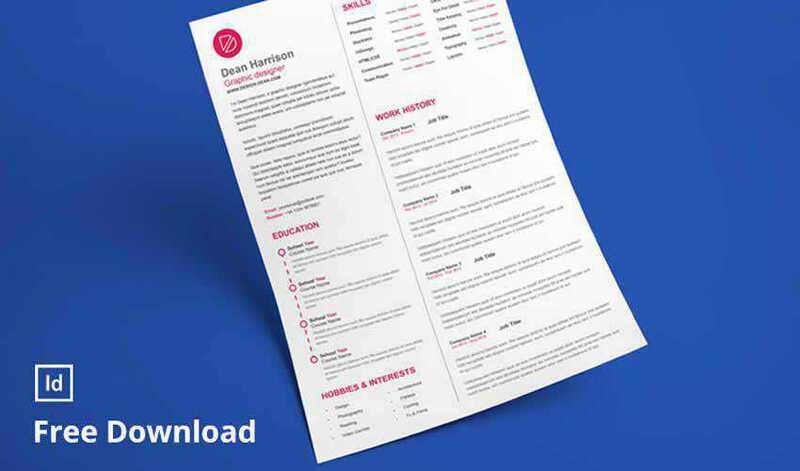 This free resume template features a clean design and a 2-column structure that makes it easy to separate your contact information from your education and experience. You can easily change the colors and add your own information. 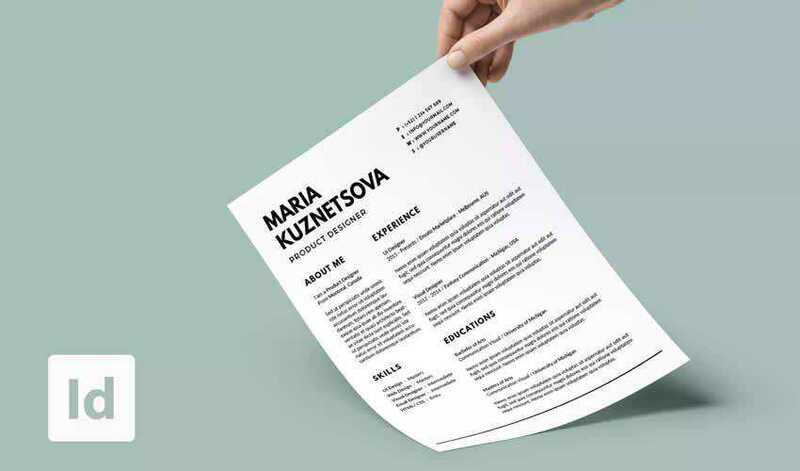 If you want to knock out two birds with one stone and get a set of business cards to go along with your resume, be sure to check out this resume template. The template features an elegant navy and white color scheme. 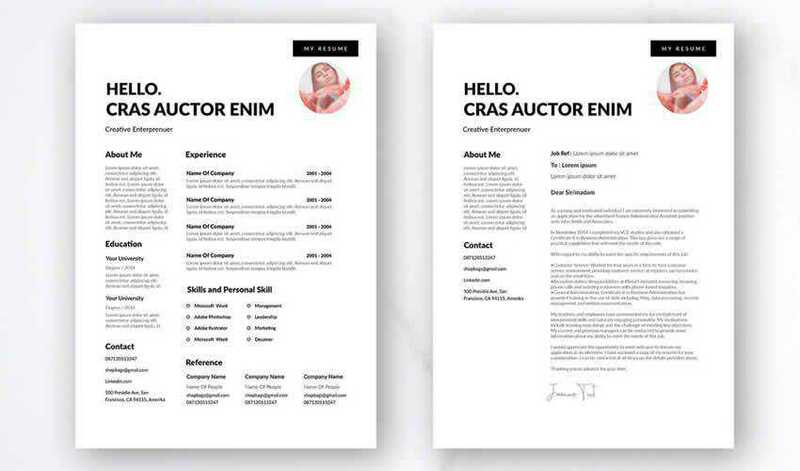 If you love minimalist design, this resume template is the perfect choice. The template stands out with beautiful typography and plenty of white space. 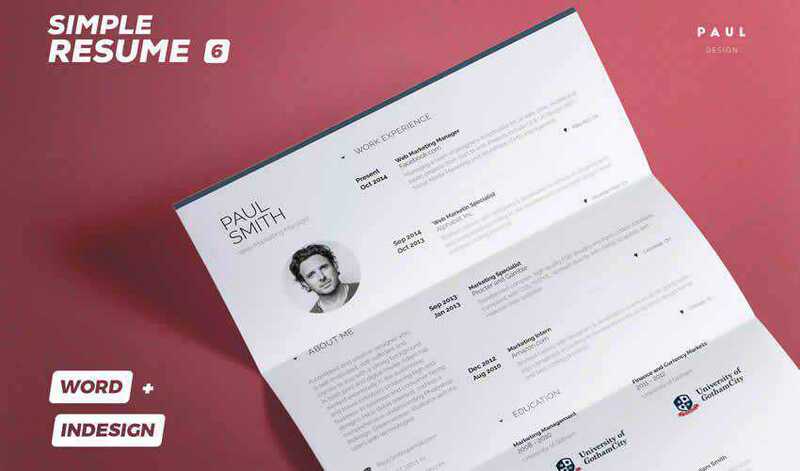 This clean resume template is perfect for UX designers thanks to the nice visual hierarchy and information organization. You can easily change the color scheme to reflect your personality. 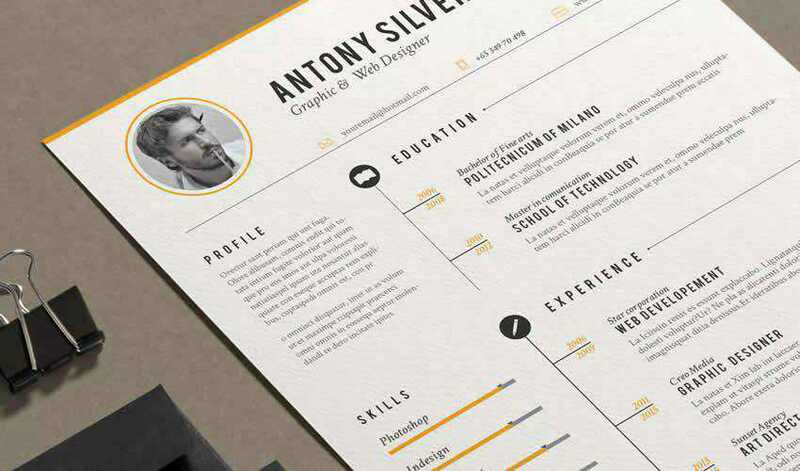 This free resume template features a simple and minimal design. You will also get access to a matching cover letter. The template is easy to edit. Consider this Vintage Resume Template if you are looking for a stylish resume that is sure to make you stand out. The template includes a matching cover letters and a set of icons that you can add to highlight skills or different sections. 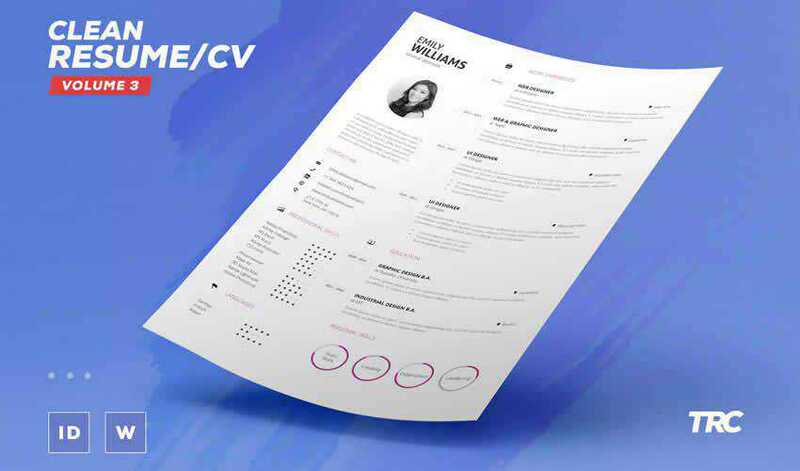 This set of free CV templates includes 3 different designs and a 2-column layout that makes it easy to organize the information. The template comes with 3 premade colors schemes which are easy to edit. Another great choice for minimalists who are looking for a new job. This template includes a resume and a cover letter and elegant typography. You can edit the files, colors, fonts, and other elements. 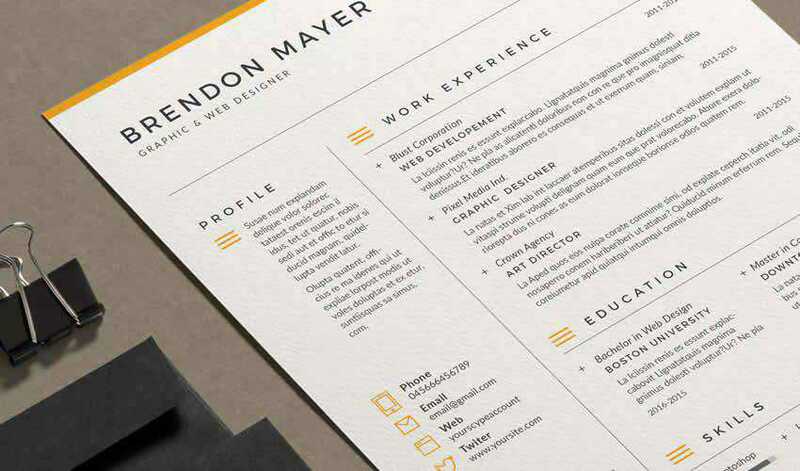 The Brendon Resume and Cover Letter includes a matching resume and cover letter with minimal design. 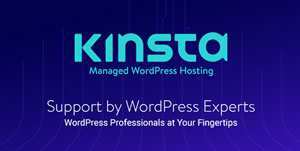 The template also includes a set of custom icons and paragraph styles. 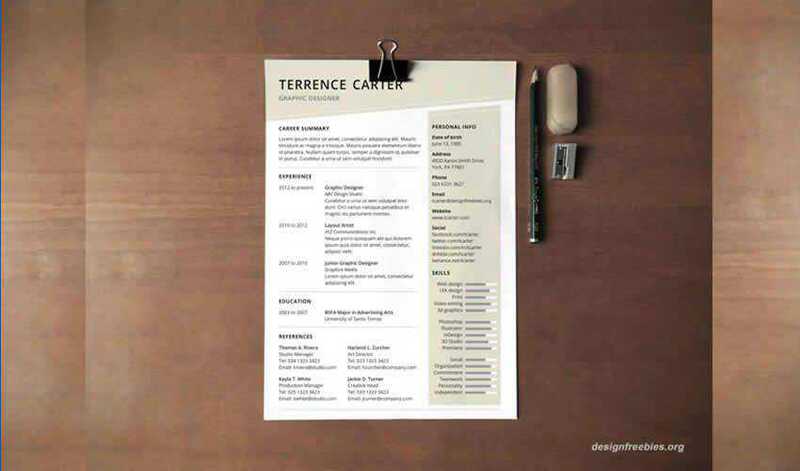 If you’re applying for a job in a creative field, consider this Stylish and Creative Resume template. The template features an elegant background marble texture. You can easily swap it out for a different one and customize the fonts and colors. Consider this InDesign Portfolio template for a more unique resume. 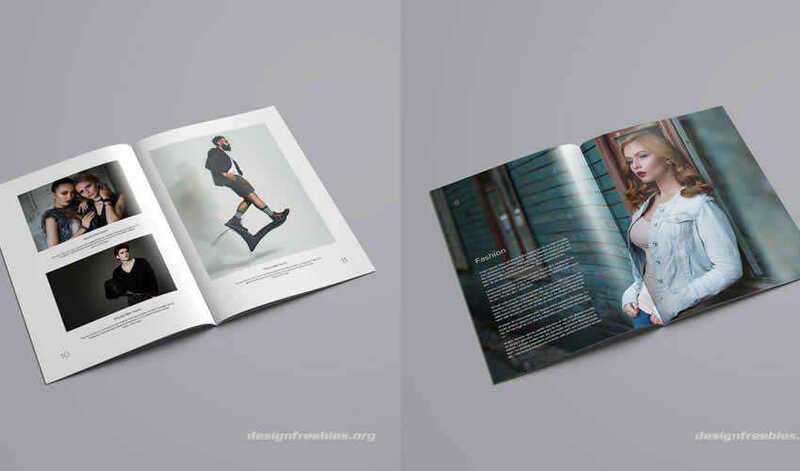 If you need to showcase your design or artistic skills, then this template is the perfect choice. You have plenty of space to share your background information as well as your creative projects. As the name suggests, this Simple Resume/CV template has a simple and clean design. The template features a one-page resume design and a matching cover letter. 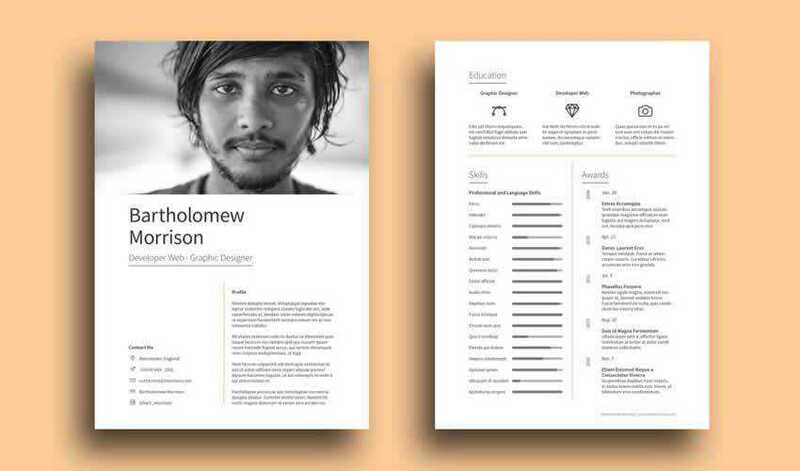 This resume template features a modern and minimalist design split into two columns. You can easily add your contact information and skills to the sidebar and use the wider column to present your education and experience. A matching cover letter is included. 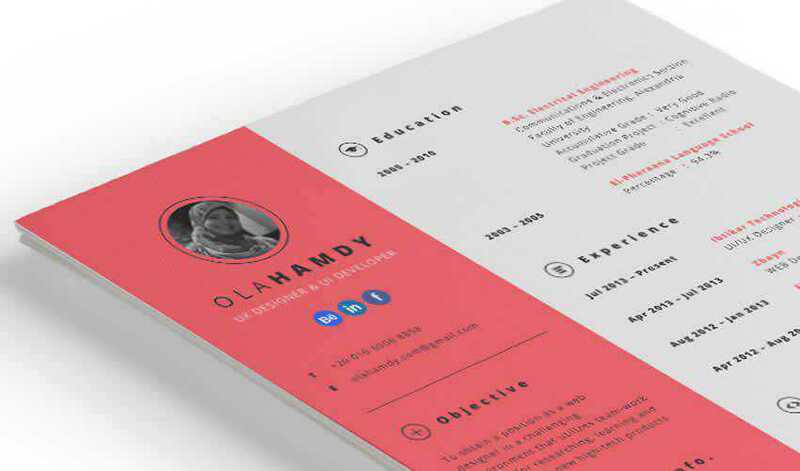 Try this Simple Resume Template if you’re looking for a stylish template. You’ll get a resume with a grid-based layout, modern border detailing, and elegant serif typography. 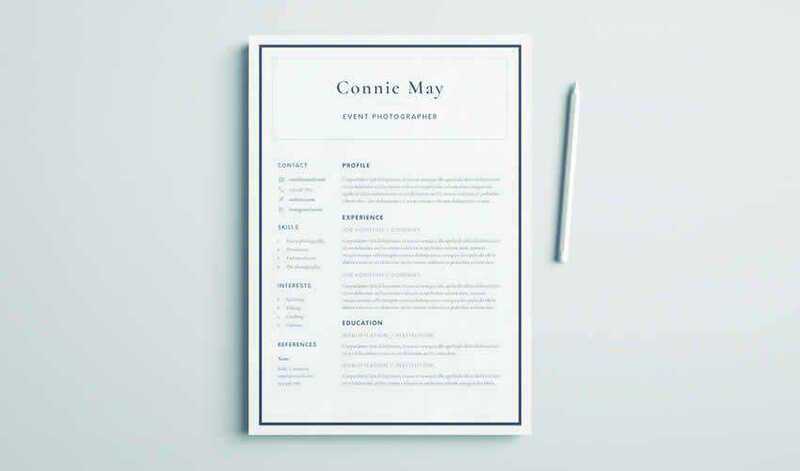 This Clean Resume template was designed as a single page resume and includes a matching cover letter. As a bonus, you’ll also get the resume in Word format and you can easily edit the colors and the fonts. Consider this free resume template if you want a unique-looking template. 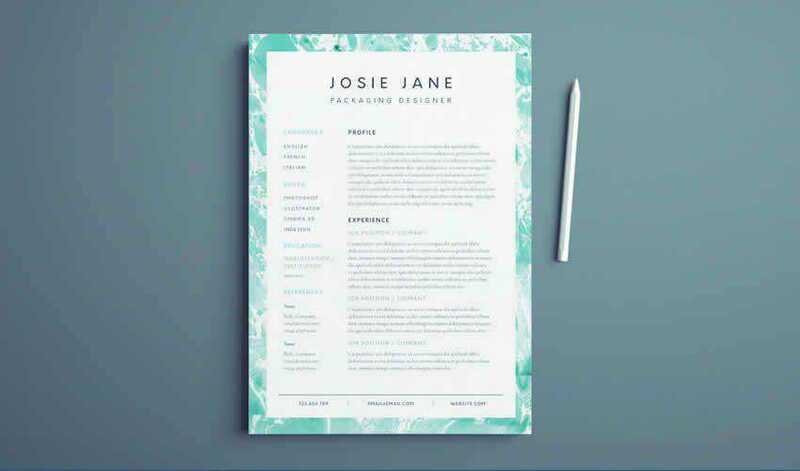 The resume includes a matching cover letter with enough space to include your photo, grid based layout, and modern typography. This modern Infographic resume is a perfect choice if you’re looking for a modern take on a traditional resume. Your information is presented using infographic style and you’ll also get bonus icons that you can use in your resume. 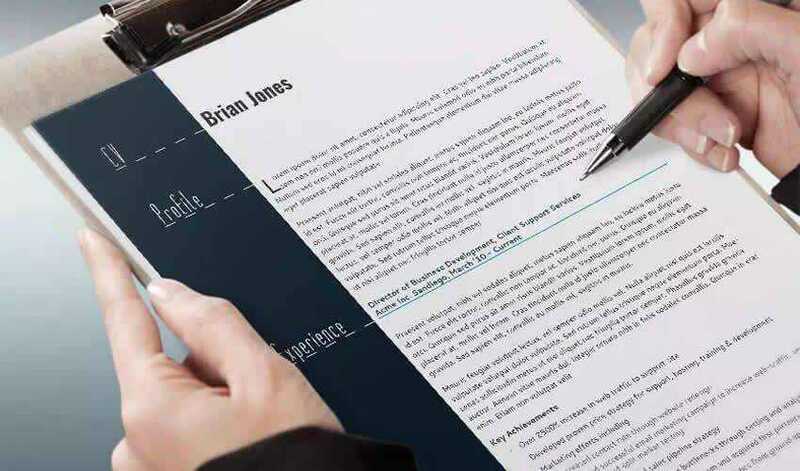 Stand out in a sea of job applicants with the help of one of these creative, professional resume templates. 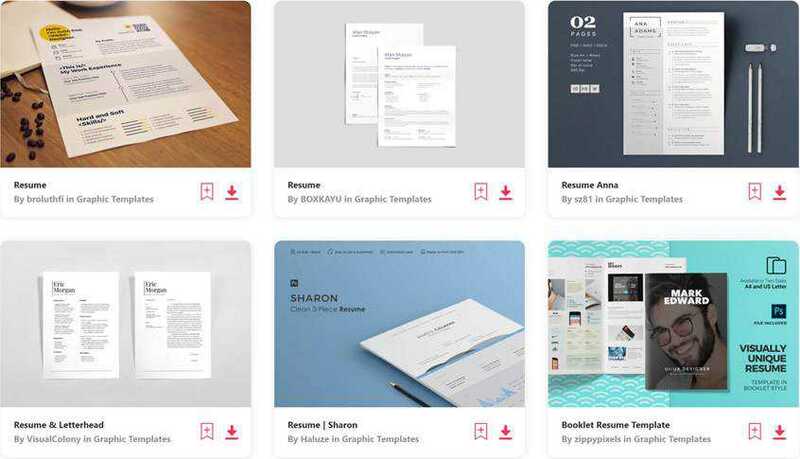 All you have to do is customize them with your preferred colors and fonts, add your information, and export them as PDF so you can send them along with your job application.